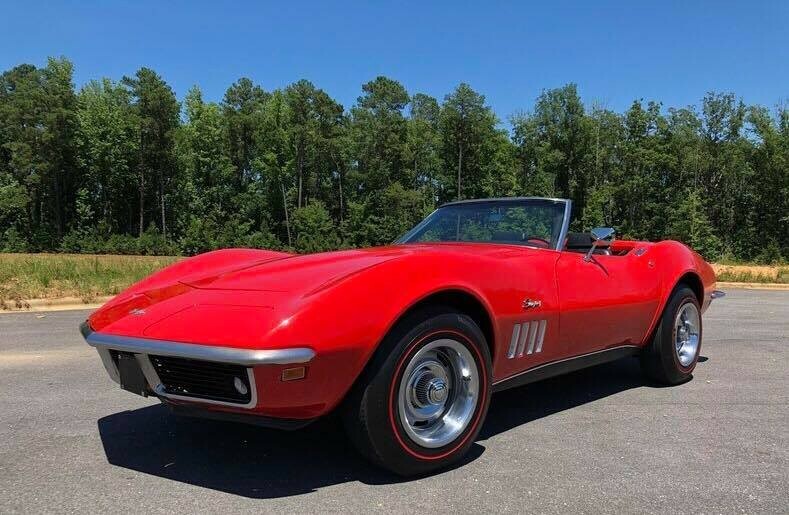 Powered by the original L-46 350/350 Horsepower engine and 4 Speed transmission.and restored to original in Monza Red with black interior. 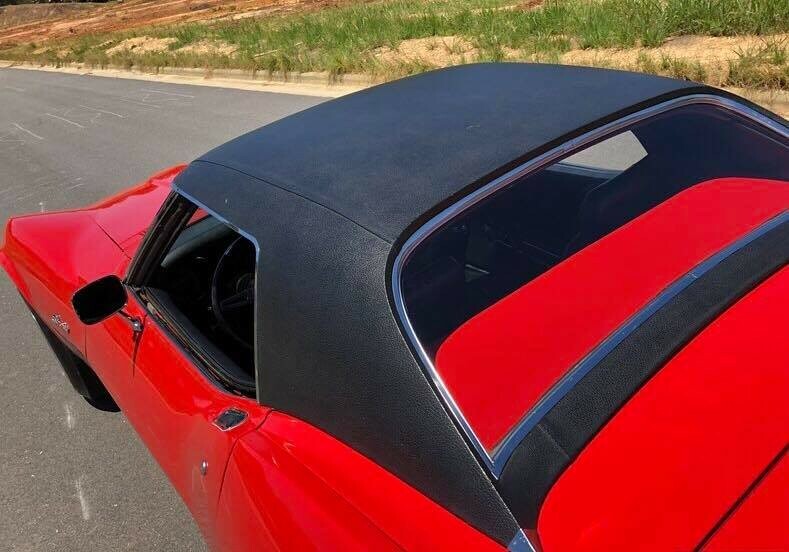 This Two Top Convertible is ready to be enjoyed. 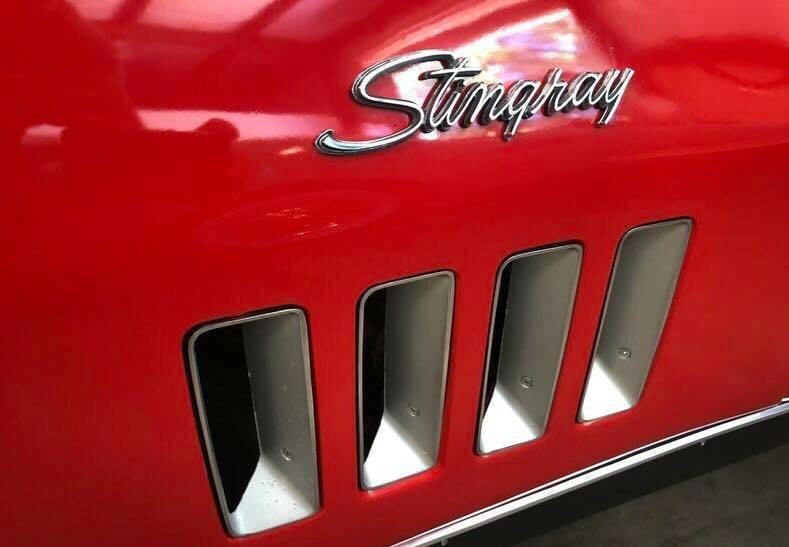 This Stingray is an all numbers matching car. 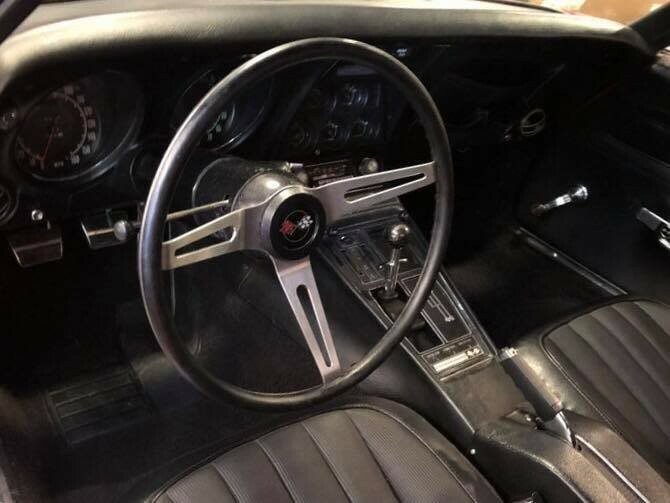 The car is optioned with the high horsepower 350/350 Horse Power engine. 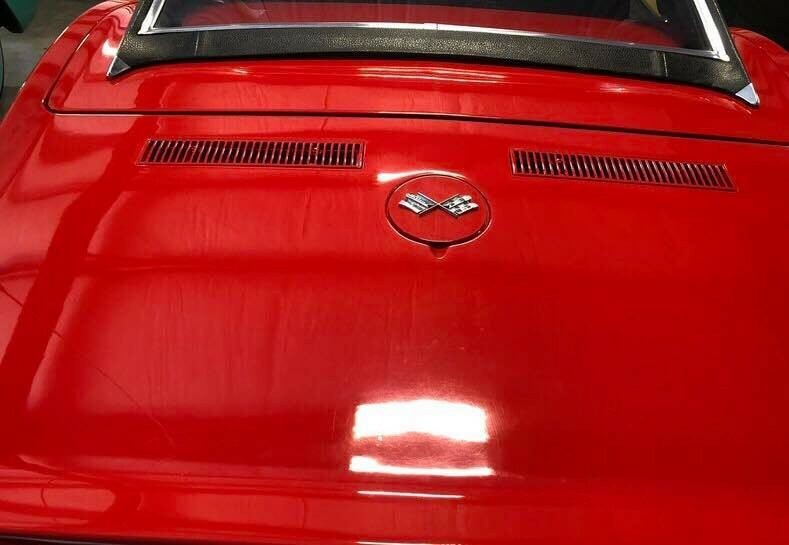 The engine has the factory Code HW block and the original vin stamp is present on the engine. 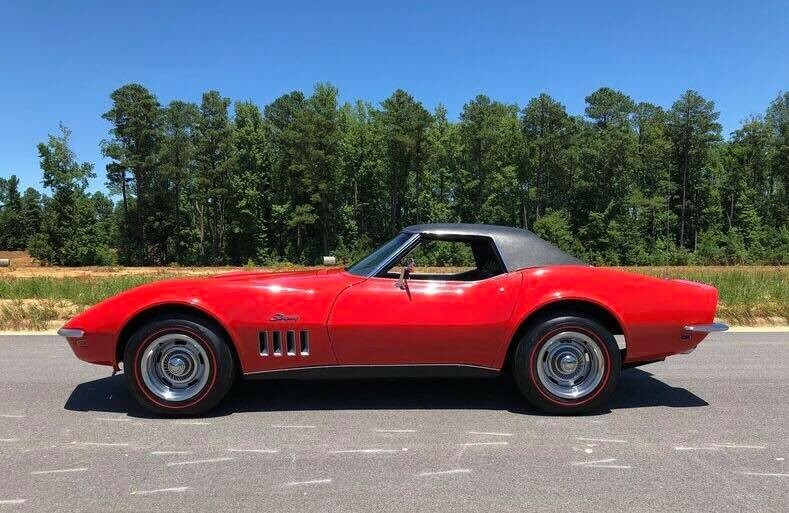 This is also a color code correct Corvette. 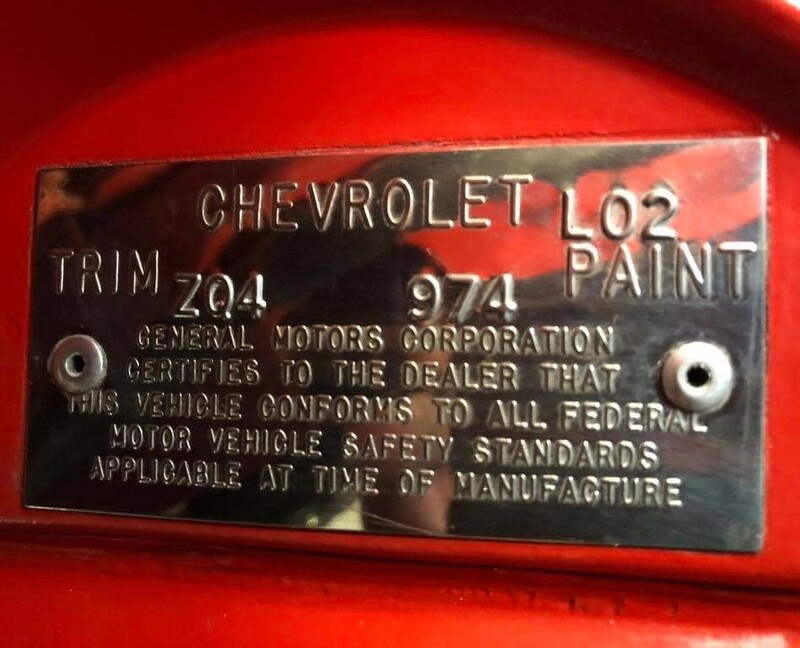 The Original Trim Tag denotes the car having paint code 974 (Monza Red). 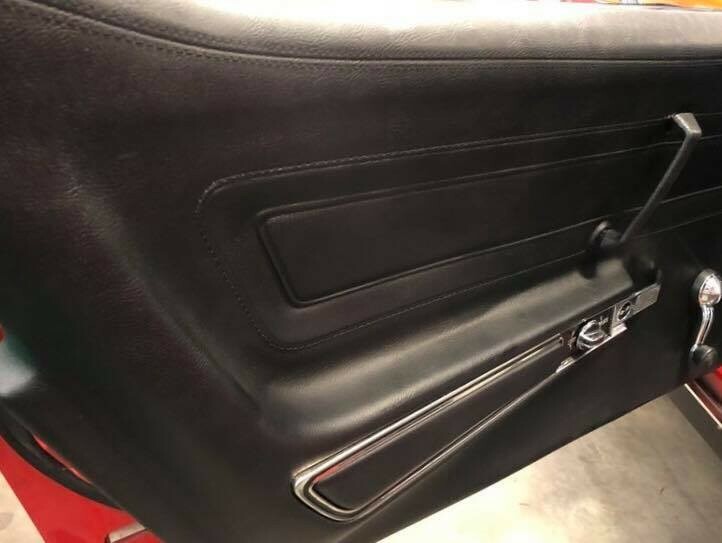 It also shows interior code ZQ4 showing to be black interior. 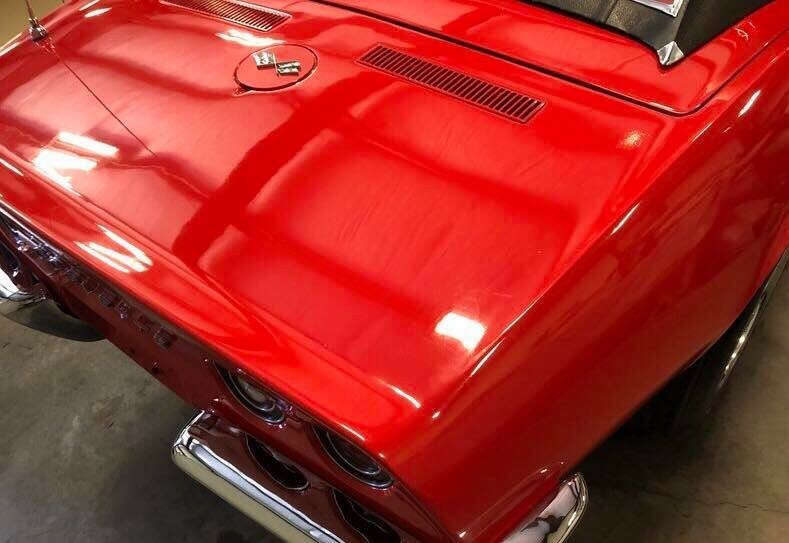 Restoration included new paint in the original Color Monza Red. 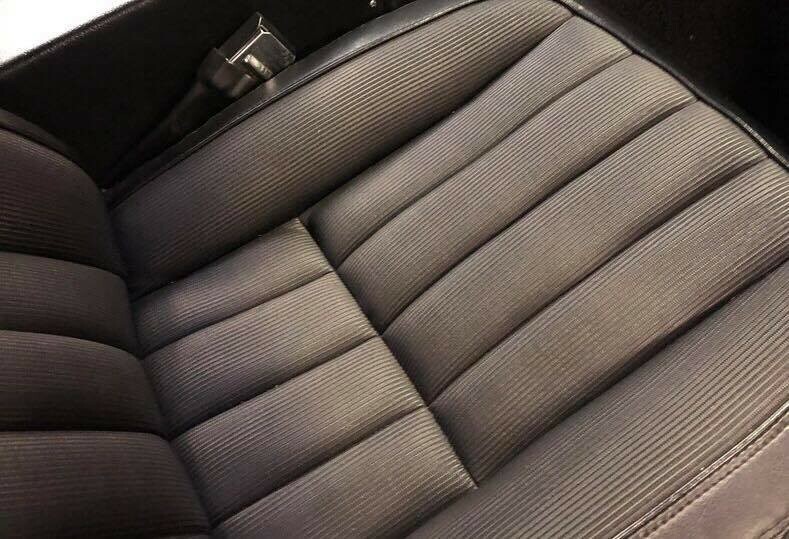 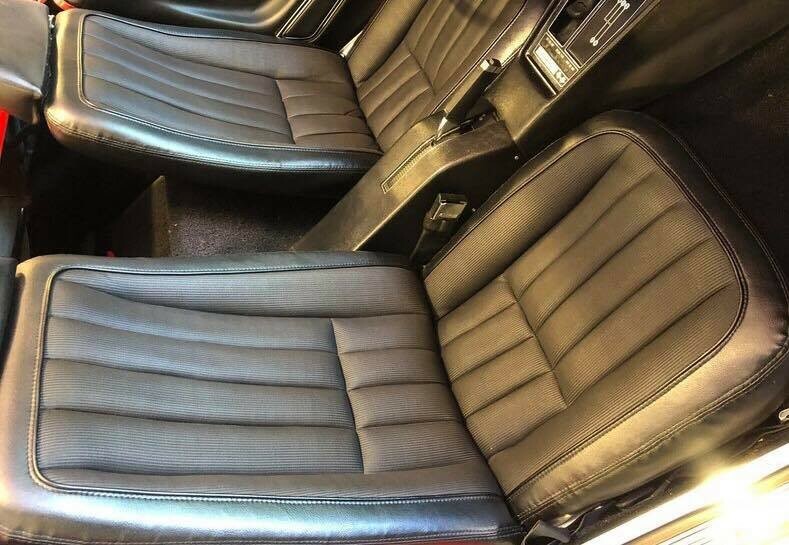 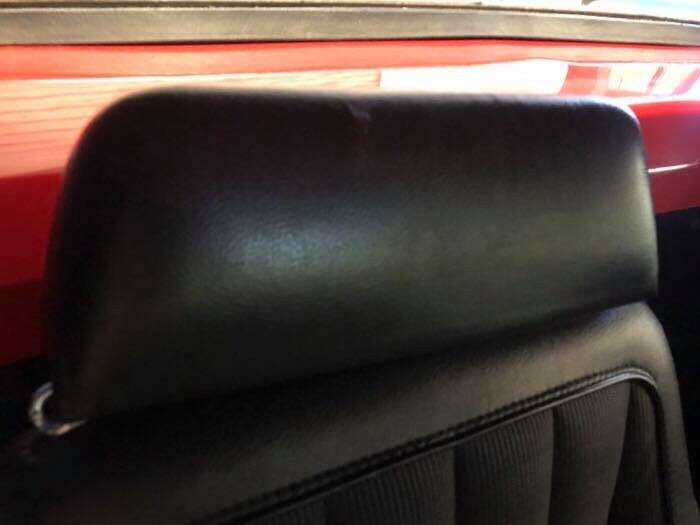 The interior has been restored back to original with new carpets, door sill plates, new door panels, new seat foam,and New Seat Covers. 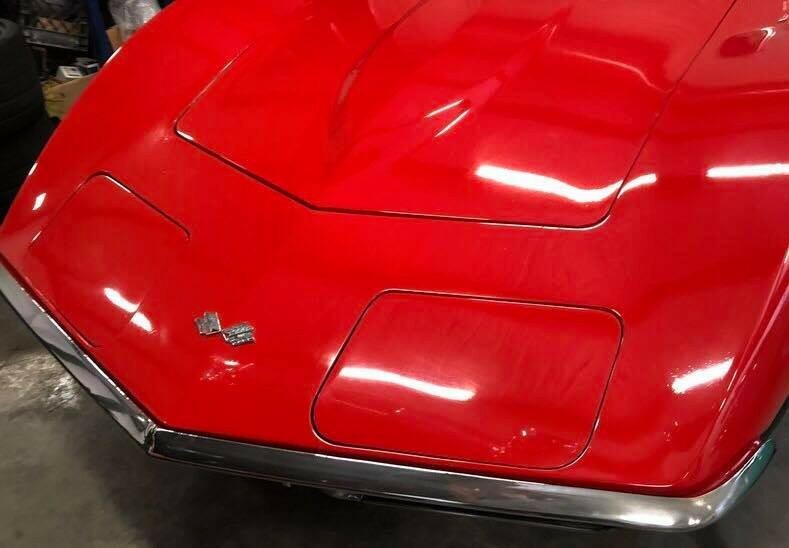 The Factory soft top is believed to be the original and would need to be replaced. 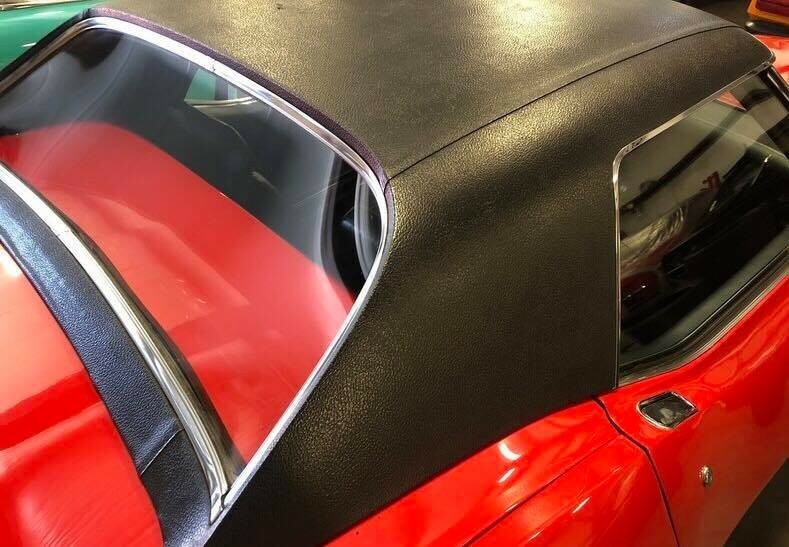 The Factory Auxiliary Hardtop has the correct vinyl covering. 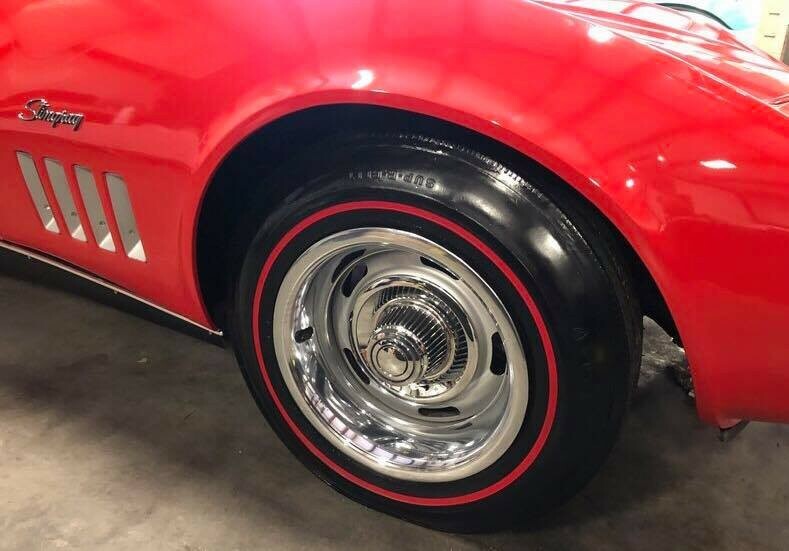 The car has the original wheels restored with correct Redline Wide Oval tires. 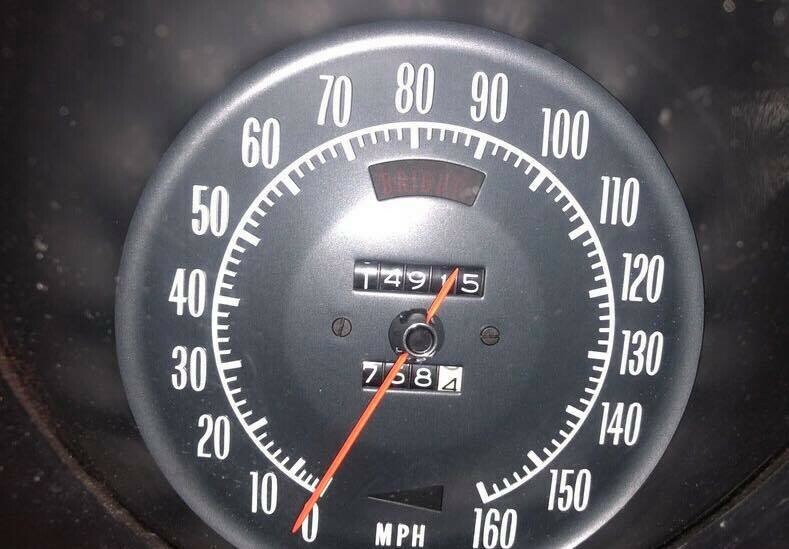 Mechanically the L-46 runs strong. 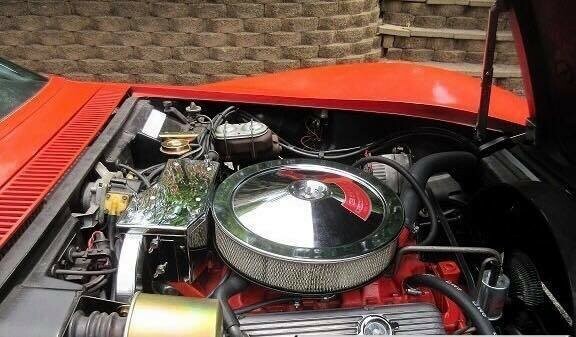 The engine is powerful and has the factory mild cam. 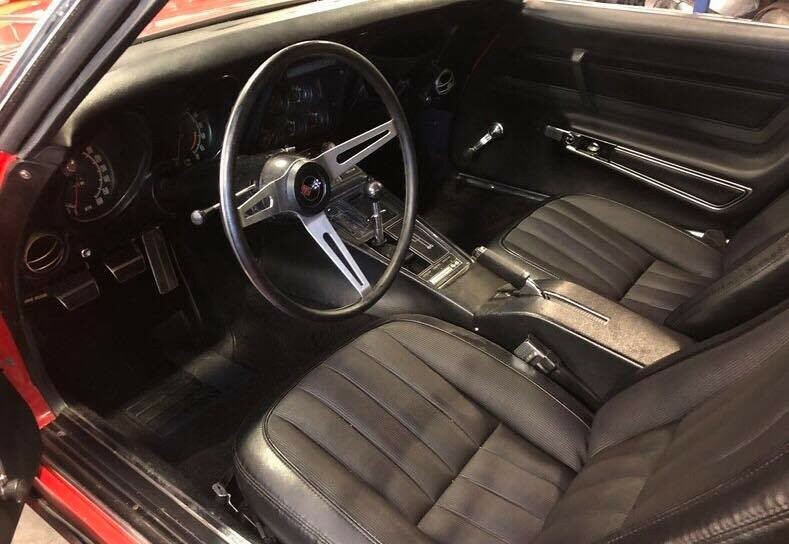 The 4 Speed transmission shifts effortlessly through all gears. 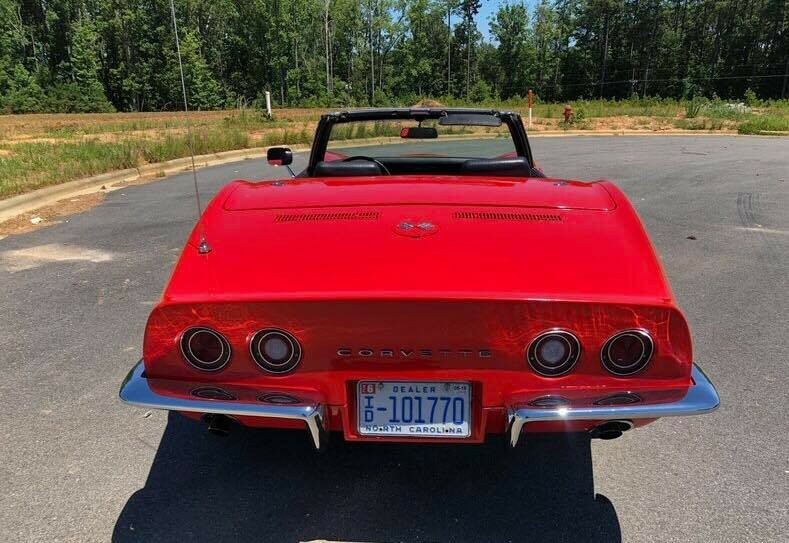 The clutch is smooth and pulls strong. 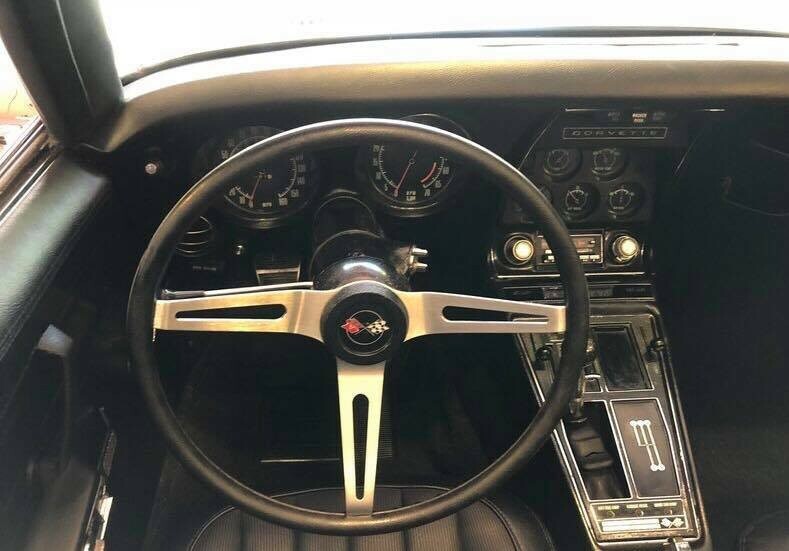 The car is a pleasure to drive. 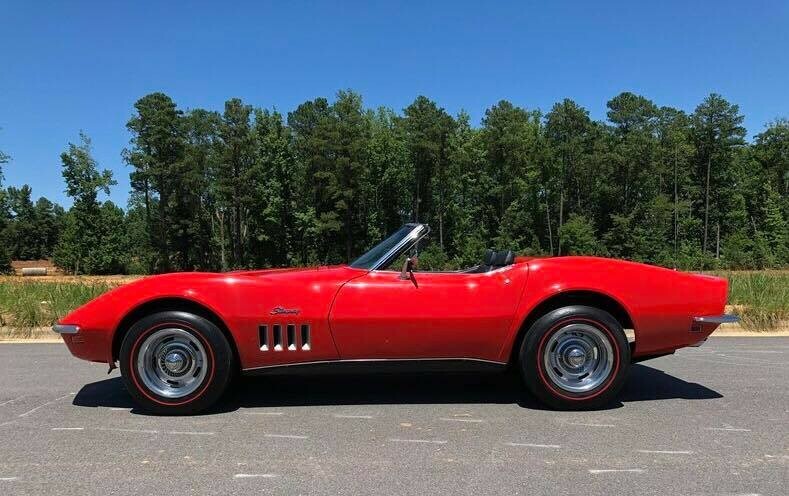 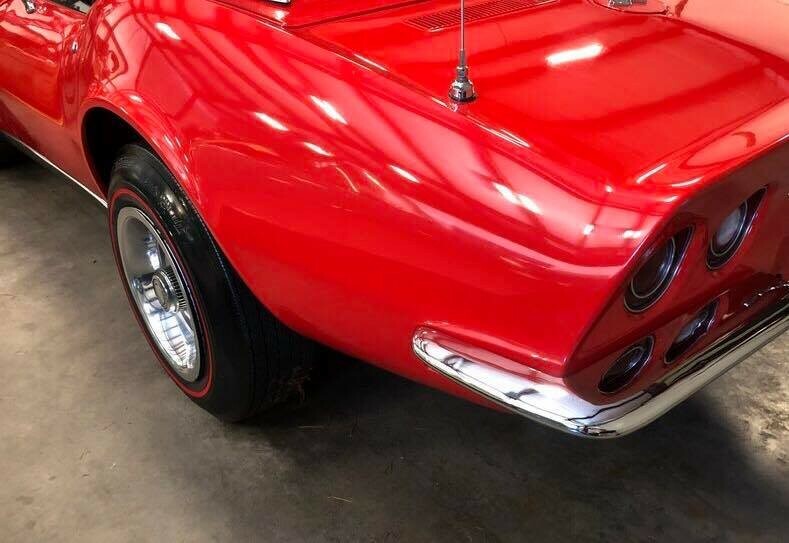 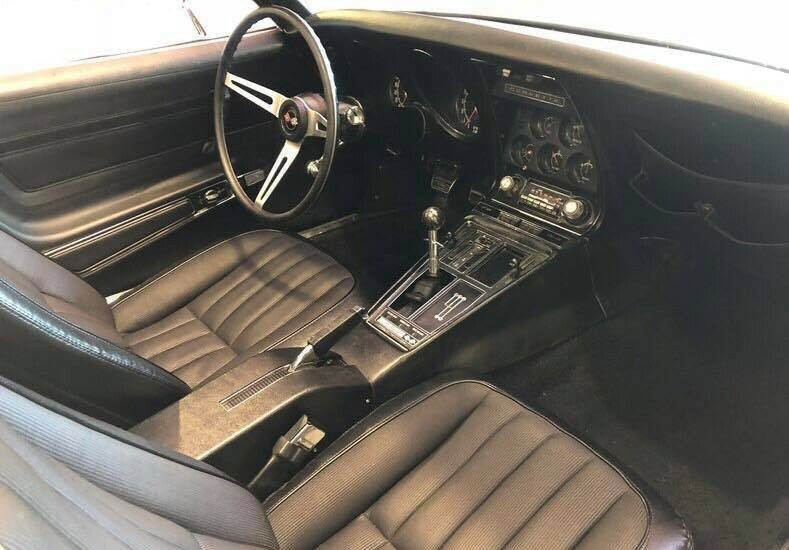 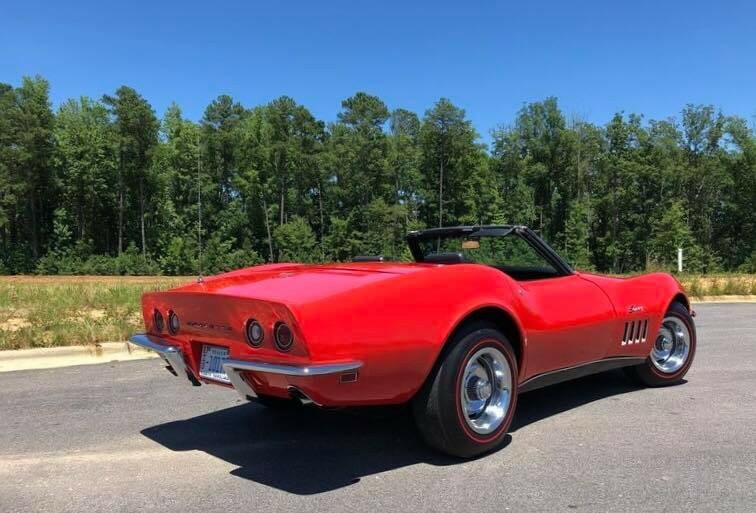 In summary, this 1969 Stingray Convertible is a high output L-46, factory color codes, has both tops and is all numbers matching making this a sort after Corvette! 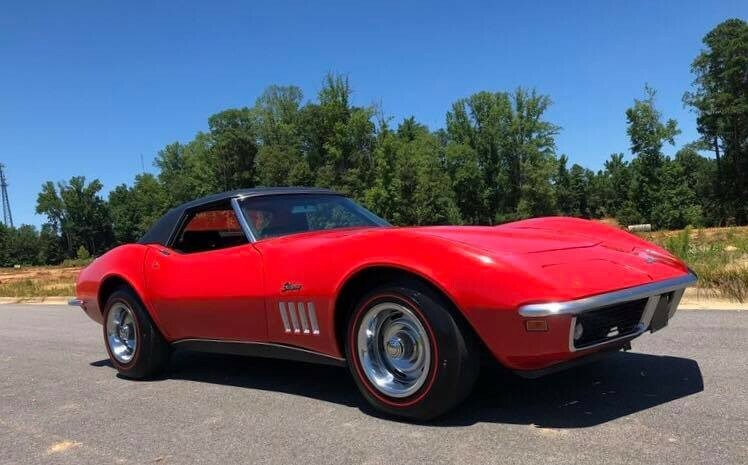 If you are a Corvette Collector, especially of ones that are Stingrays, this is the one to buy. 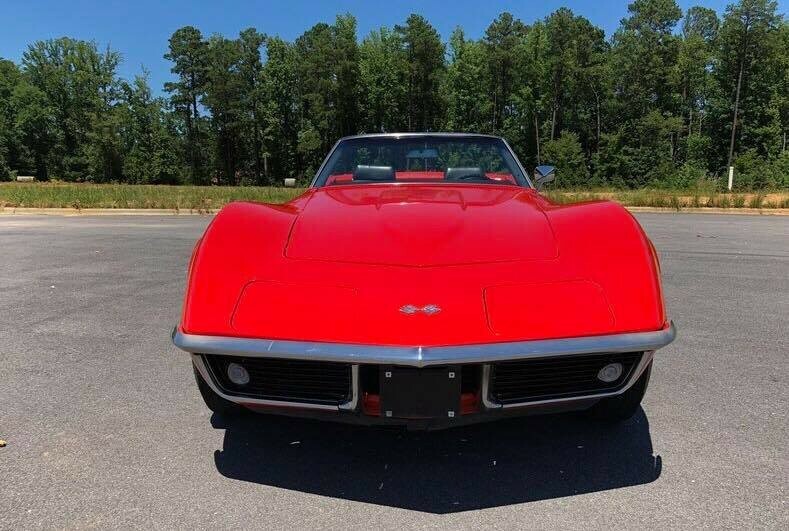 A beautiful Red that strikes the eyes as you pass people down the road. 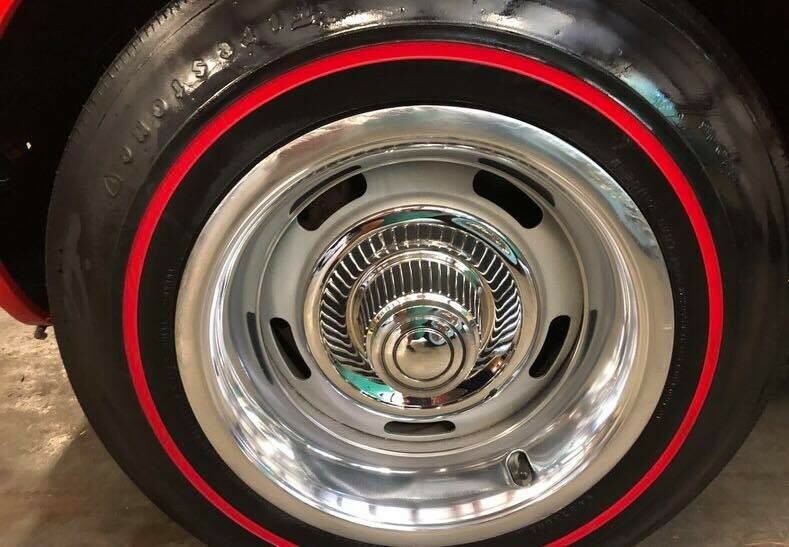 There’s no doubt that this will get anyone’s attention. 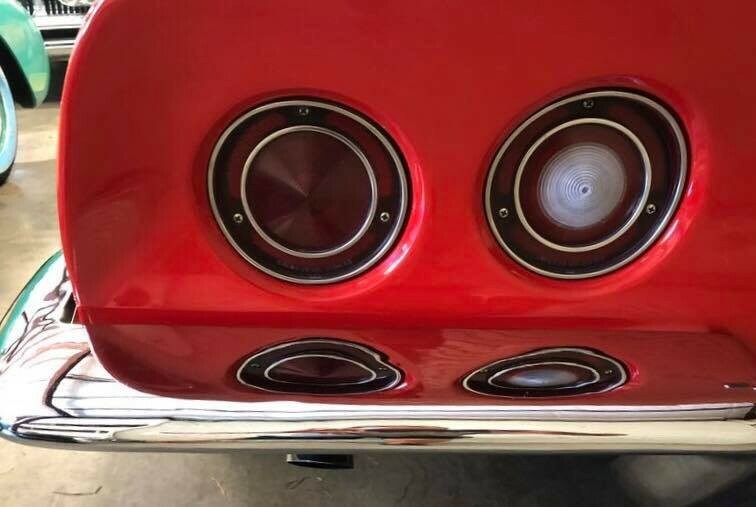 Another reason to buy. 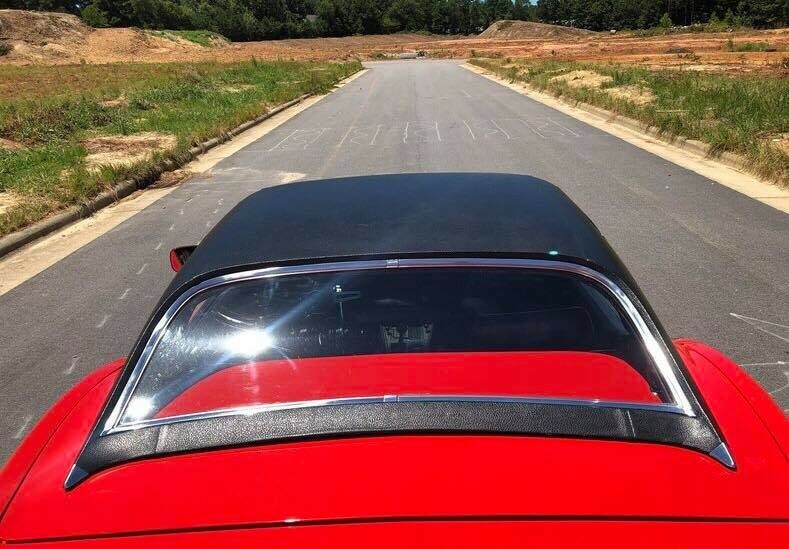 So don’t miss out on this one…give us a call TODAY!